I’ve had a cute little short-sleeve sweater I haven’t worn for a while because of a missing button and a hole in the front. It’s been sitting at the bottom of the sewing pile; this week I pulled it to the top. 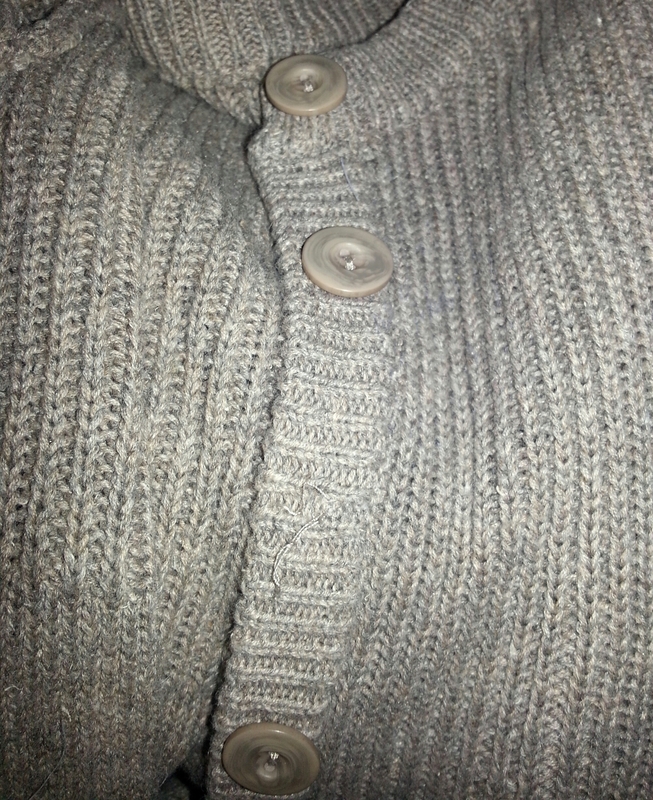 I didn’t have a matching button to replace the missing one, so first I removed the remaining three. 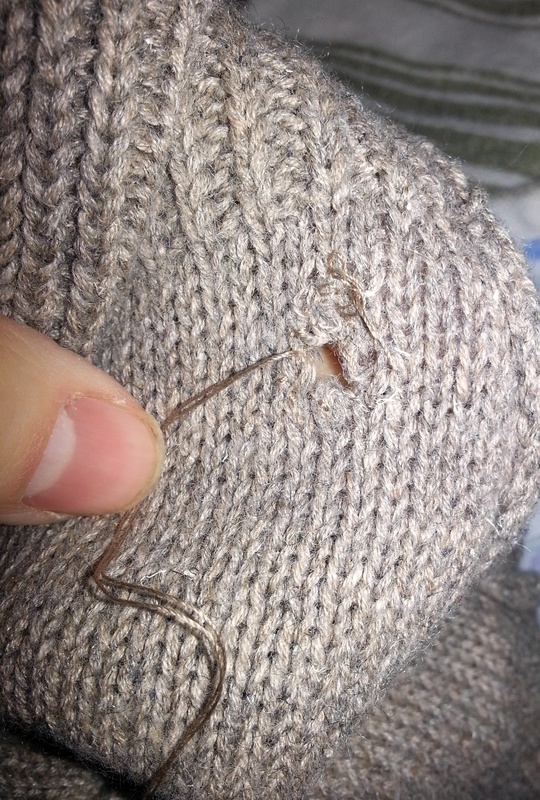 I forgot to take a photo of the hole before I started mending it. 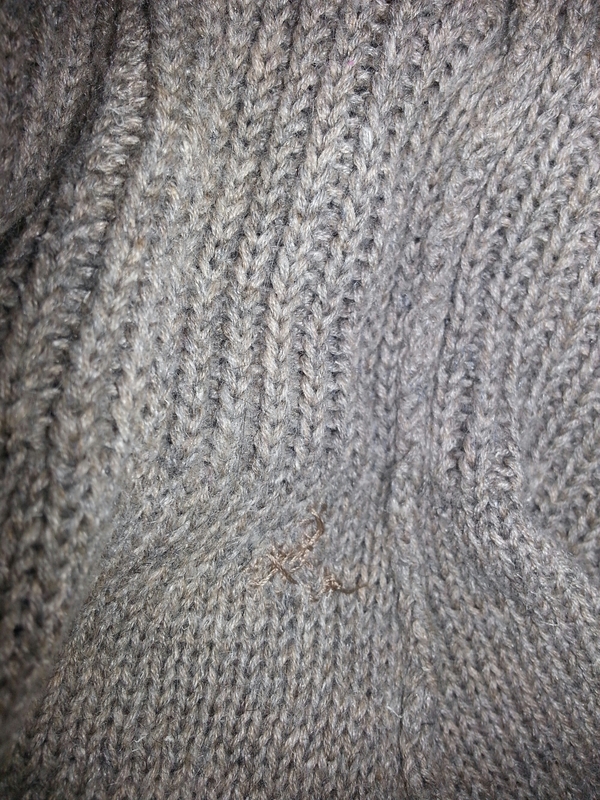 This is what it looked like a bit after I’d sewed for a few minutes. My approach was to use a color of thread that close-to-matched the sweater yarn and catch the frayed ends with the needle, then bind them by looping the thread over those frayed ends. This shrunk the hole by about half. 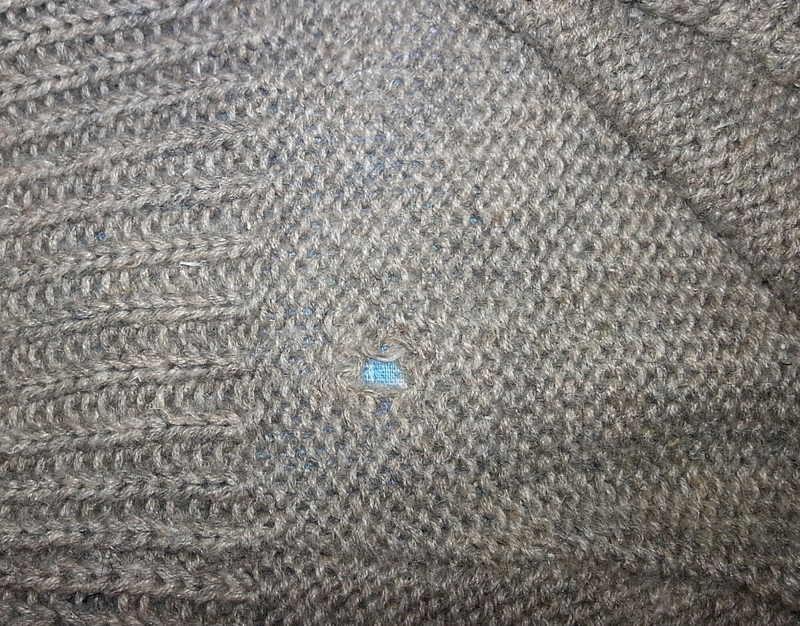 Here’s what the back of the sweater looked like when I was more than halfway done. 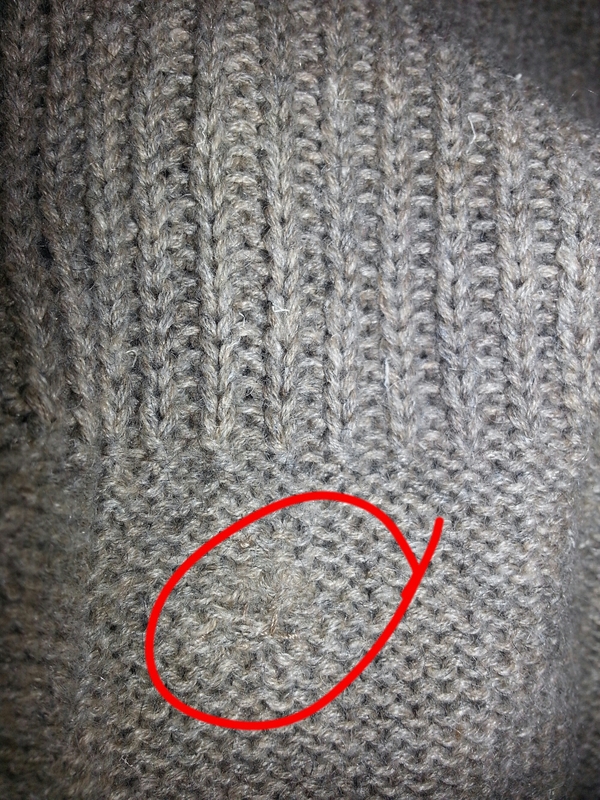 From the front side, I then lined up the rows that had been previously attached and used shallow stitches (ones that only go halfway through the material, surfacing through the back of the sweater and not through the front) to rebind those rows together. And above is what the back of the old hole looked like once I had closed it. Above is the front when I was done. 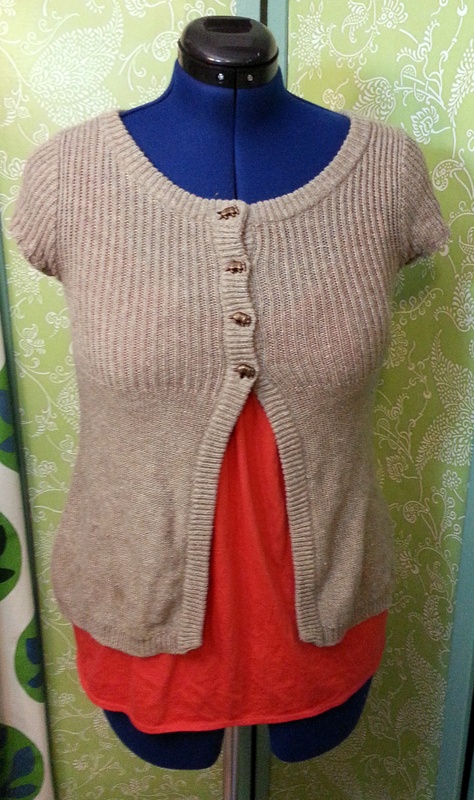 And below is the front after I added the buttons. Free MOOCs? Forget about it. 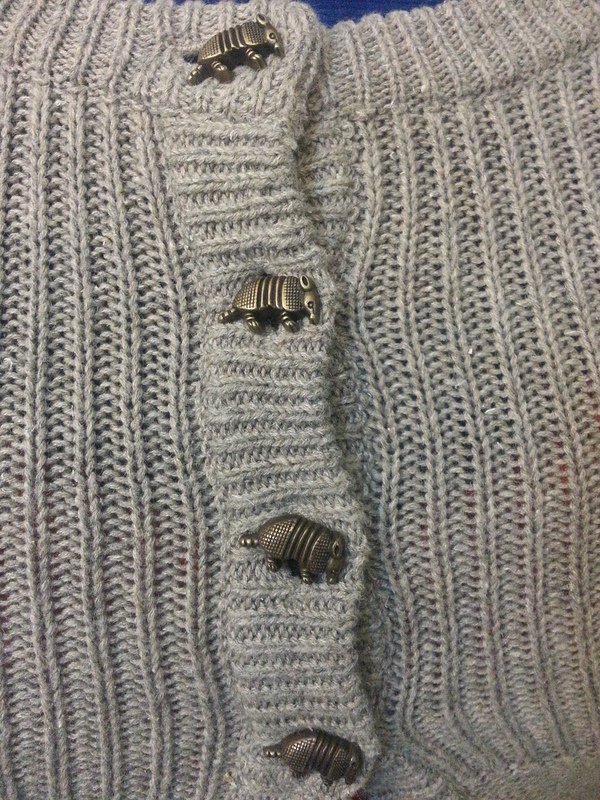 Well of course the buttons are shaped like armadillos! Very cute.